Blogging is considered to be one of the best marketing strategies, that brings long-term results for any business that you decide to promote. Why? Your blog is your own content, it’s your own “online hone” where you can do anything you want. Having a blog is extremely important, because it positions you as an Expert in your niche in front of your audience’s eyes, it is so much easier to develop relationship with your audience when you have a blog and you can build trust and credibility much faster than through any social media. And guess what happens when your audience starts to trust you and considers you as a “go-to” person? They become interested in how they can work or partner with you, and they will most likely buy whatever you have to offer. Blogging is not that difficult as it may seem like and there are many myths that stop people from starting their own blog, which I talked about in one of my previous blog posts. However, if you really want your blog to be your “money-making-machine”, there are 6 steps that you need to take in order to build a successful blog online. This is the first thing that you need to think about. Who is your blog designed for? Who do you want it to read? Who is your target audience? Because if you don’t know it, you won’t have any engagement on your blog, and people will not be interested in your content. That’s why it is extremely important to define the exact audience that will be genuinely interested in your blog and what you have to offer. As an example, if your blog is about Fine Arts, Dog Lovers definitely won’t be your target market. Makes sense? This is the exact feature that EVERY single blog has to have. When people come to your blog, and if they like your content, they may want to share it with others either on Facebook, Twitter, Google+, Pinterest, etc. So give them the ability to share it. Don’t you want your content to go viral? Who doesn’t, right? There are many plugins that you can use on your WordPress blog (a self-hosted one), such as Digg Digg, Shareaholic (that’s the one I use), OptimizePress offers that as well. Just pick one and you’re good to go. That one is my favorites! I am a very consistent person, I always finish what I started, I always push hard to accomplish my goals. And you should too! Especially with blogging. Yes, it takes time. Yes, it takes effort. And yes, it requires you to be consistent if you wanna get results. If something doesn’t go the way you want in the beginning, don’t quit! Don’t even think about it! It WILL take time to build your Blog. But trust me, it’s worth it! Did you get value out of this blog post? If so, please comment below and share it! Helping entrepreneurs create a successful brand online using social media & blogging. Are you still struggling to generate more Leads Online for Your Business? Click HERE and Learn More About the Exact System that I use. Well Said!! 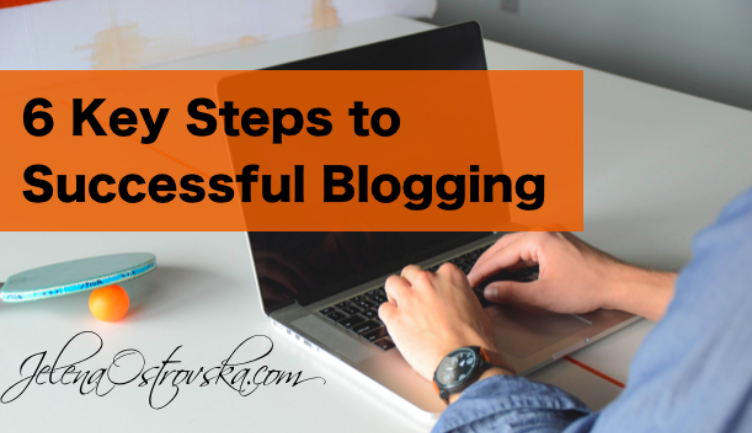 Bloggers definitely Need to Have and Understand These Success Blogging Tips! Thank you!! This is an excellent article. I believe the greatest challenge for me when I began blogging was consistency. You are so right when you say it is the only way to get results. When you’re just getting started with blogging, you should definitely blog at least 5 times a week, so that your blog is full of content. But when you are more advanced, you can blog about 2-5 times a week, and that’s fine. Blogging has a very good career if you are perfect in it. You have a skill to attract reader with your writing. The point you clear, that add value in your content is awesome. I think this post will help a lot of people/blogger to get success in their blogging career.